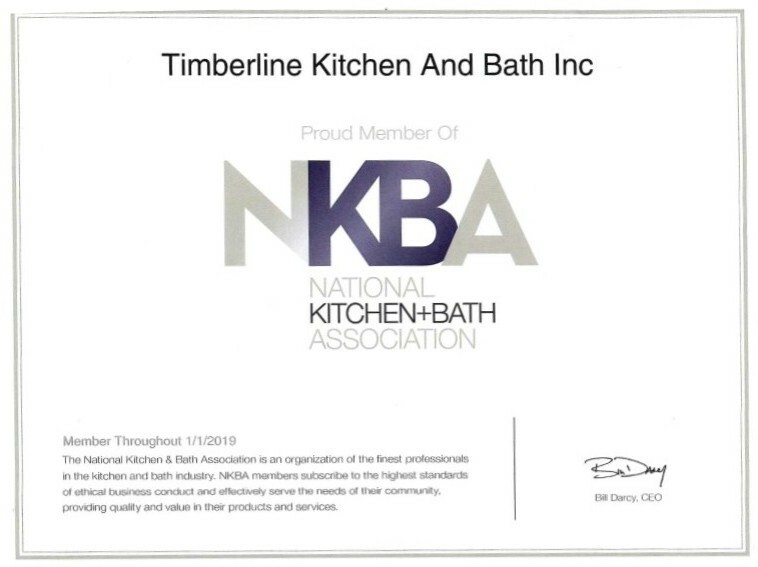 Timberline Kitchens and Bath > Why Us? 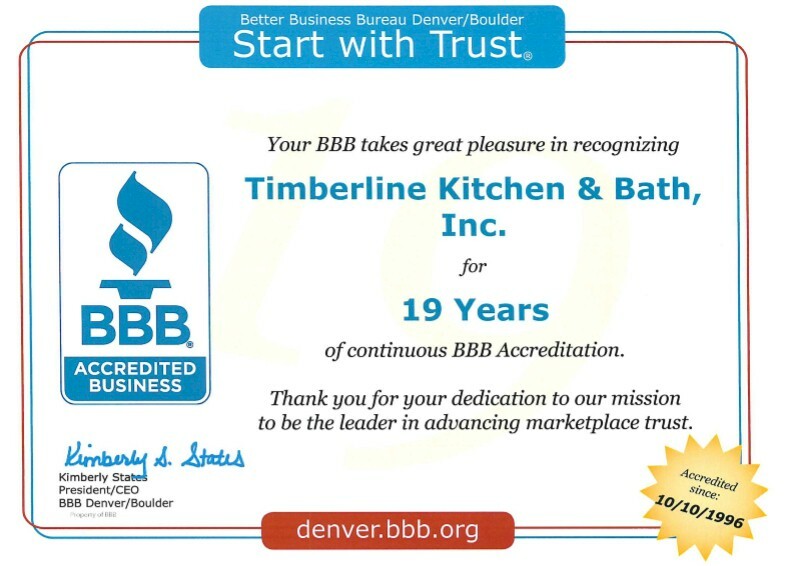 Denver’s Best Kitchen and Bath re-modelers. We have been delivering the top Kitchen and Bath design and installation service to Denver since 1981. We are a Gold Star certificate holder of the Better Business Bureau. Over 30 years proving award winning kitchen design. We have a long list of satisfied customers and reference. We have an expert team of trained professional kitchen installers. We have won The Parade of Homes for Best Kitchen multiple times. Our team of experienced professional designer’s work with you to design the kitchen and bath you desire. In our 33 years of business we have done thousands of kitchen and bath remodels in Colorado. Whatever you can imagine for your kitchen or bath we have done it. We have cultivated the products we represent over the years so that they are the top in their class in value and quality. We feature over 600 colors and styles of cabinetry including a full selection of all the latest in counter top solutions. We work for some of the area’s top home builders and re-modelers and home owners that truly care about their kitchen and bath project. We only do top quality kitchens and baths for discriminating customers. “If you come to us and say that you are not happy with some aspect of the quality of our work we are going to fix it. Plain and Simple. We have built our business through referrals from happy customers.” - Jim Carey/Owner. Come visit our beautiful 6000 square foot show room featuring all types of kitchens and hundreds of door styles and hardware on display. We can help you identify what you desire in the kitchen of your dreams. Cabinetry by: Custom Cupboards, Woodmode , Brookhaven, Columbia, Urban Effects. Built in Appliance specialists featuring Wolf and Subzero. See the latest in built in microwave drawers. Countertops: Stone, Granite, Silestone, CaesarStone, Butcher Block, Colorado Sandstone, Jadestone, Soapstone.